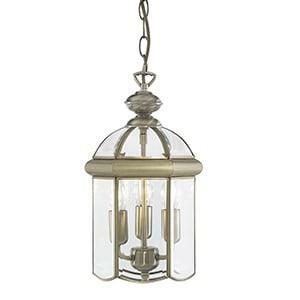 This Ascona antique brass 12 light ceiling fitting with clear glass sconces is a traditional design with a modern finish. The antique brass finish and intricate lighting features across two separate tiers, adding depth and detail to the fitting, and the twelve delicate glass sconces illuminate any room with style and sophistication. 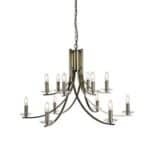 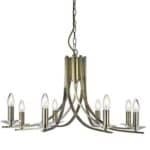 This Ascona antique brass 8 light ceiling fitting with clear glass sconces is a classic design with a modern twist. 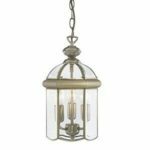 The antique brass finish is simple, elegant and perfect for your bedroom, living room, or dining room, and the eight clear glass sconces illuminate any room with style and sophistication. 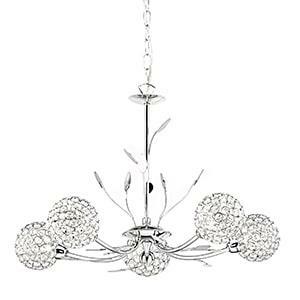 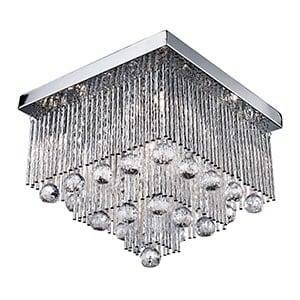 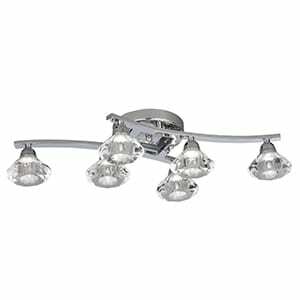 This Ascona chrome 12 light ceiling fitting with clear glass sconces is a traditional design with a modern finish. The chrome finish and intricate lighting features across two separate tiers, adding depth and detail to the fitting, and the twelve delicate glass sconces illuminate any room with style and sophistication. 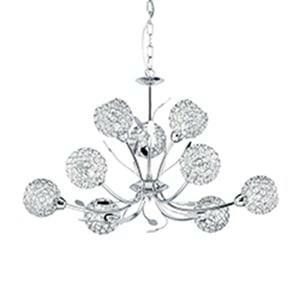 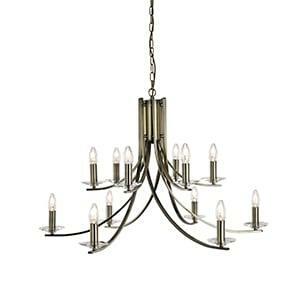 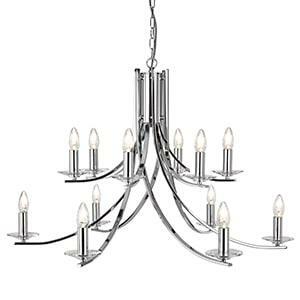 This Ascona chrome 8 light ceiling fitting with clear glass sconces is a classic design with a modern twist. 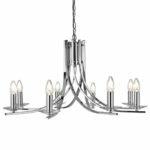 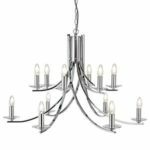 The chrome finish is simple, elegant and perfect for your bedroom, living room, or dining room, and the eight clear glass sconces illuminate any room with style and sophistication. 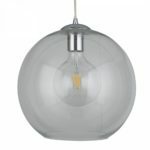 With clear and rounded glass, this is the perfect pendant to brighten your home. 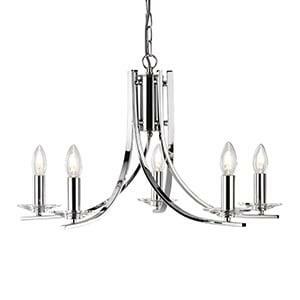 Chrome has been placed at the top of the feature for a sophisticated finish. 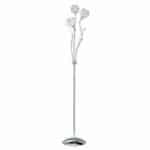 It is ideal for any contemporary home seeking a minimalist influence. 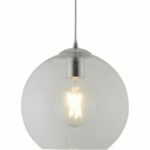 Designed to hang delicately from the ceiling, this pendant will provide a warming ambient light suitable for any modern setting. The clear glass on the curved body allows the brightness of the bulb to shine through. 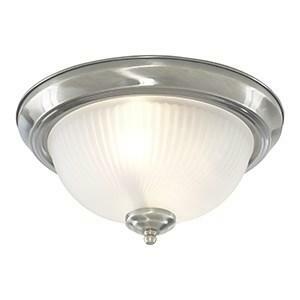 Featuring chrome at the top of the light for a touch of elegance. This Bellis II chrome 3 light floor lamp with clear glass shades and leaf decoration looks beautiful in any modern bedroom, living room or dining room. 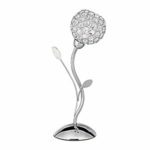 This intricate lamp has three delicate round flower heads, made from miniature chrome finish hoops and clear glass buttons, which create an elegant lighting effect in any corner of your home. 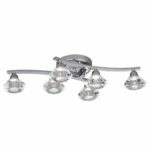 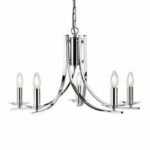 This Bellis II chrome 5 light fitting with clear glass shades and leaf decoration makes a stunning centrepiece for any bedroom, living room, dining room or kitchen ceiling. This elegant chrome finish fitting is beautifully crafted, with leaf decoration and five clear glass and chrome flower head spheres, which refract the light to stunning effect.